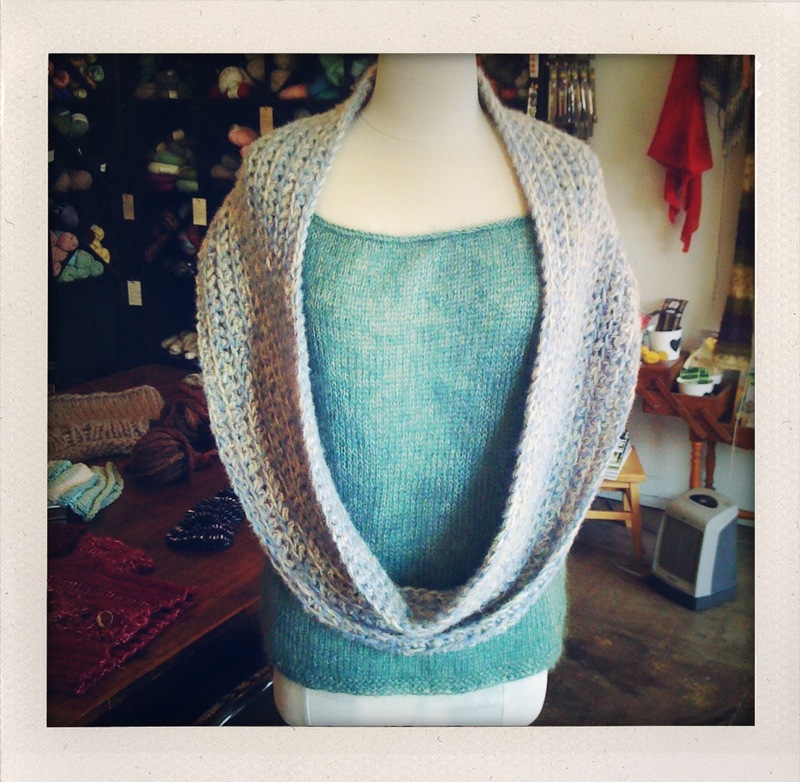 Super lightweight, yet completely cozy, this infinity scarf is crocheted using frothy whipped alpaca-wrapped cotton. All you need to know to make this is the Single Crochet Stitch! Working a single crochet into only the front half of the stitch results in this classic rib pattern. This infinity scarf is worked flat, lengthwise, and then sewn closed. So when you do the first chain, you are actually chaining the circumference of the scarf. This is the perfect project for beginner crocheters, and can be completed in a couple nights! Materials: Size L crochet hook, 4 balls Rowan Alpaca Cotton (2 balls in Rice and 2 balls in Fog), jumbo darning needle. Using a strand of each of the two colors held together, chain 108. Prep Row: Make a turning chain, and then, beginning with the 3rd chain from the hook, work 1 single crochet stitch unto the top half of each of the chains. Row 1: Make a turning chain, skip the 1st stitch, the, working into the front half ONLY of the stitch, work 1 single crochet into each stitch until the end of the row. Turn. 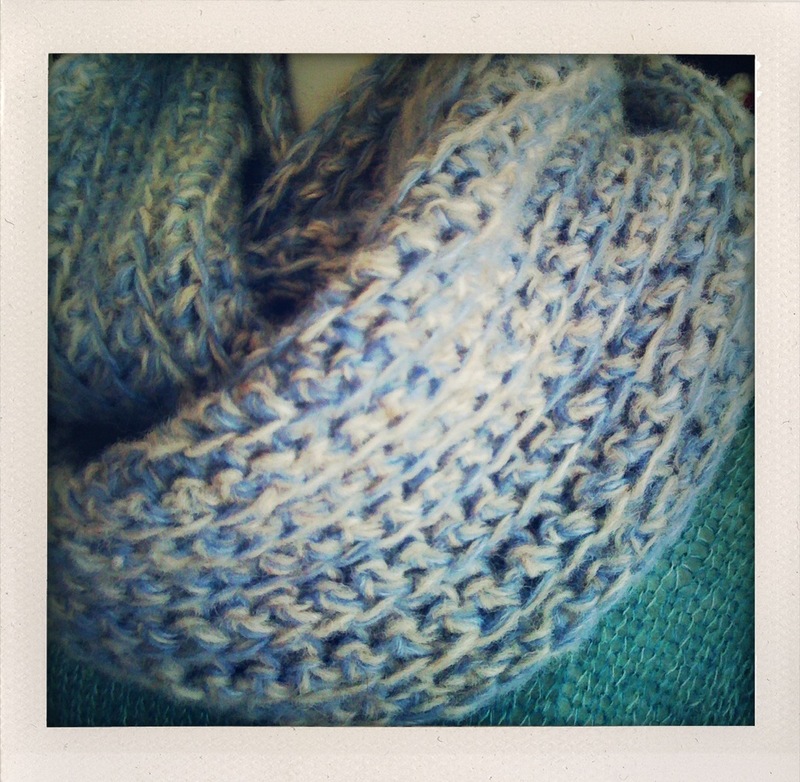 Repeat row 1 for 22 rows (or until infinity scarf is desired width). Fasten off. Using the tail yarn and jumbo darning needle, sew the ends together. Weave in ends. Looks beautiful and cushy! 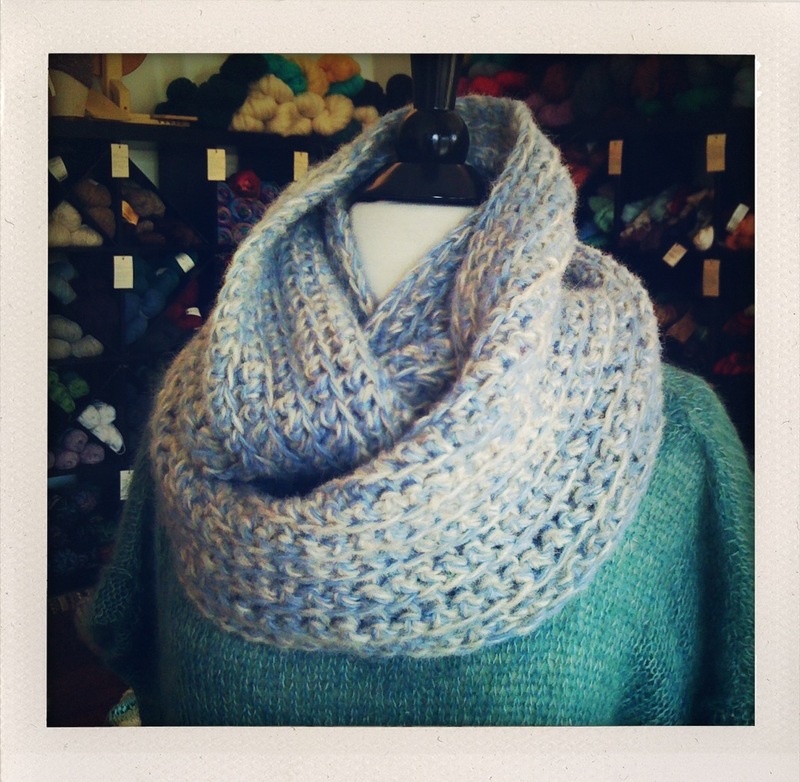 I love cowls, works outside as a scarf and inside as a fashionable addition to your wardrobe. BTW, the foundation chain is the circumference of the scarf, not diameter. Of course– just make sure to bring a copy of the pattern with you, and someone will hep you decipher the pattern and get it started! This looks so nice and comfy! And it’s right at my skill level… Any reason I couldn’t just crochet it in a circle and skip the sewing it together part?